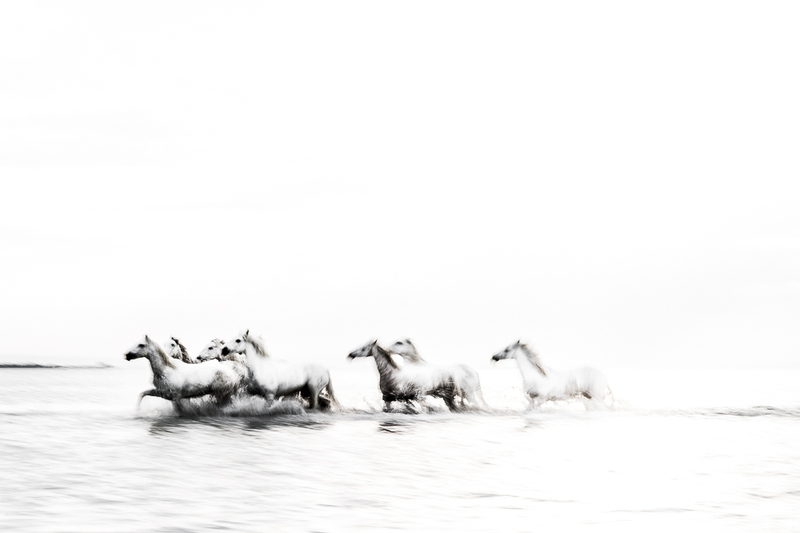 Gypsy Horses is the visual expression of the feelings of freedom, lightness and joy which the White Horses of Camargue evoke. Although not wild, these gentle horses live free in large herds along the area’s austere wetlands and marshes. This free existence is reflected in the horses’s playful, gentle and curious nature.